This entry was posted on April 2, 2013 by Jessica Anderson. The Issaquah Schools Foundation has been chosen as the Issaquah Trophy & Awards 2nd quarter Awards for a Cause recipient. 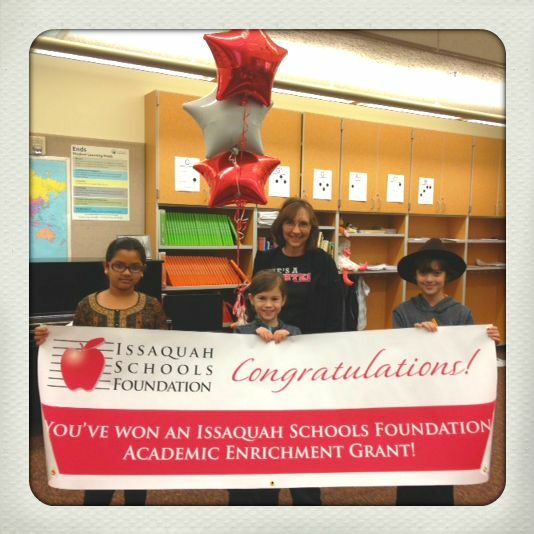 The Issaquah Schools Foundation is a huge part of our local community. Many of our children have attended or still do attend an Issaquah School. We personally see and feel the work that they do and want to help them with fundraising to keep up the good work! ISF drives resources to help all students achieve the promise of their academic potential. They do this by bridging the gap between funds the state provides for basic education and the dollars our schools need to prepare students for success in the school and life. On Thursday, May 9th, ISF will host its 15th annual Nourish Every Mind Benefit Luncheon. Over 1,000 parents and civic and business leaders pack the luncheon to hear about how ISF has changed student lives, about future projects, and donate to make it all happen. Learn more about what the Issaquah Schools Foundation does by visiting their website or Facebook page. Issaquah Trophy & Awards will make a donation to the Issaquah Schools Foundation based on selected product purchases.